Over recent months, we have witnessed several targeted killings of senior operatives of global jihad organizations throughout the world, the most recent of which were pillars of Al-Qaeda: Abu Basir Naser al-Wuhayshi, the leader of Al-Qaeda in the Arabian Peninsula (AQAP), and Mukhtar Belmukhtar, a senior commander of Al-Qaeda in the Islamic Maghreb (AQIM). The killing of al-Wuhayshi was especially significant as it presented a significant challenge for Ayman al-Zawahiri, and is liable to affect the image of Al-Qaeda Central (AQC) and its position in the Islamic sphere against its rival, the Islamic State (IS). So far it remains unclear who will be appointed to replace al-Wuhayshi in his role as deputy to al-Zawahiri, or even if a replacement will be appointed at all. 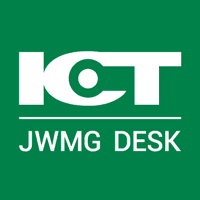 However, there are reasonable grounds to assume that in the near future a discussion will be held on jihadist Web forums, at all levels, including remarks by senior figures in the organizational hierarchy - especially religious leaders and trailblazers such as Abu Muhammad al-Maqdisi, Abu Qatada al-Filastini, Abu Mundhir al-Shanqiti and Hani Siba'i. It can be assumed that, in addition to the open discourse, more confidential internal discussions will also be held by the organization’s commanders and policy makers in order to reach an agreement on a candidate to replace al-Wuhayshi as “Al-Qaeda Central’s number 2”. The series of targeted killings has exacted a heavy toll on Al-Qaeda and its affiliates, and weakens them. One prominent example of this is AQAP, considered to be the strong arm of Al-Qaeda, which has already proven itself capable of carrying out terrorist attacks beyond its scope of operations (as proven by the terrorist attack against the French magazine, Charlie Hebdo, in Paris in the beginning of January 2015). It should be noted that, in addition to al-Wuhayshi, AQAP has recently suffered a hard blow with the killing of other senior members of the organization, including Hareth bin Ghazi al-Nadhari, a member of the Shura Council; Naser bin Ali al-Ansi, the organization’s spokesman and strategist; and Ibrahim al-Rubaysh, the mufti of the organization. The weakening of Al-Qaeda is also evident in the reduced number of media appearances made by its leader, Ayman al-Zawahiri. Al-Zawahiri’s silence may stem from a fear of being killed if his location is revealed, in light of the high intelligence capabilities recently demonstrated by the United States. Nevertheless, despite the fact that no official statement has been made by al-Zawahiri since September 2014, evidence of his continued activity can be found in an interview that was conducted in May 2015 with Abu Muhammad al-Julani, the leader of Al-Nusra Front. It should be noted that Osama bin Laden had similarly avoided making contact with the outside world, and details surrounding the search for him indicate that there were no wired or wireless communication devices in the compound where he spent his final years. In addition to the loss of the organization’s top leadership and close intelligence surveillance, Al-Qaeda has also been weakened as a result of the rift between it and the IS. Since the declaration of the Islamic Caliphate, the IS has gained popularity among former Al-Qaeda operatives and supporters. The combination of these three weakening factors is liable to influence the way in which Al-Qaeda Central is managed as well as the organization’s position in the Islamic arena. The series of targeted killings of top Al-Qaeda operatives in recent years has diluted the pool of potential heirs. Nevertheless, there are a number of individuals who could potentially fill the role of al-Zawahiri’s deputy. Saif al-Adel – a strategist belonging to the founding generation of Al-Qaeda and a person of influence at the organizational level. He served as the person responsible for bin Laden’s security and was one of the planners of the terrorist attacks at the embassies in Africa in the 1990’s. According to unverified reports, he fled to Iran together with one of bin Laden’s sons where he remained under house arrest until a few years ago. There is no information about his activities since he left Iran. Abdelmalek Droukdel (Abu Mus'ab Abd al-Wadud) – the head of Al-Qaeda in the Islamic Maghreb (AQIM). He identifies with al-Zawahiri and is even claimed to have consulted with him regarding the branch’s plans in the Maghreb. In addition to fighting against “infidel regimes” in North Africa, his organization is waging a war against the French presence on the continent. Qasem al-Rimi – the incoming leader of Al-Qaeda in the Arabian Peninsula (AQAP). Al-Rimi, of Yemenite origin, declared a merger with Al-Qaeda’s Saudi branch in 2009 together with al-Wuhayshi - a merger that resulted in the creation of AQAP. In addition, al-Rimi stood out for calling on Sunni tribes in Yemen to unite against the Houthis and the Americans. Abu Muhammad al-Julani - the leader (emir) of Al-Nusra Front. Al-Julani continues to support al-Zawahiri and declares his support for him at every opportunity. Today he is one of the only prominent leaders who, in addition to being loyal to Al-Qaeda, continues to carry out active jihad against “infidel regimes”. It is reasonable to assume that the media presence kept by his organization, which identifies as a branch of Al-Qaeda, as well as his operational and command experience, will contribute to the possibility of his promotion to the role of deputy. Asem Umar – the leader of Al-Qaeda in the Indian Subcontinent. He was personally appointed to the role by al-Zawahiri in September 2014, an act that indicated the latter’s degree of trust in him. In the past, Umar authored several books that promoted the idea of jihad and he served as head of the Shari’a Council in Pakistan. Khaled al-Habib – commander of Al-Qaeda’s internal operations in Afghanistan and northeast Pakistan. Despite the above, it is possible that no successor to al-Wuhayshi will be appointed. The weakening of AQC in general, and of al-Zawahiri in particular, may make it difficult to appoint a successor especially in light of the strengthening of Al-Qaeda’s local branch commanders who will have difficulty accepting the authority of a new deputy. In addition, al-Zawahiri is likely to hold another round of consultations on the matter with senior field commanders and religious leaders (such as al-Maqdisi, Abu Qatada and al-Sibai). Furthermore, it is possible that this issue regarding the appointment of a deputy to the leader of Al-Qaeda will be raised in the near future on jihadist Web forum discussions. In addition to the significant killing of al-Wuhayshi, several other targeted killings of top Al-Qaeda officials carried out since the start of 2015 deserve mention. The following is a review of these killings and the official announcements that were published by the organization about their deaths. On June 16, 2015 Al-Malahem jihadist media institution, which belongs to AQAP, officially announced the death of al-Wuhayshi, AQAP leader. The video was narrated by Khaled Umar Batarfi, a member of the organization. The announcement stated that al-Wuhayshi had been killed along with two other fighters and that, following consultations, it was decided to appoint Qasem al-Rimi (aka Abu Hurayra) as his replacement. In addition, Batarfi eulogized al-Wuhayshi and praised his achievements in Afghanistan. Batarfi emphasized that al-Wuhayshi had taken part in the founding of AQAP and that he had served as bin Laden’s confidant. 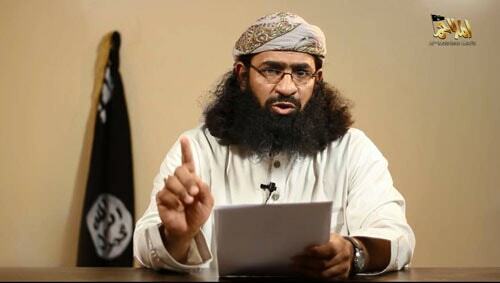 Al-Wuhayshi was appointed leader of AQAP in 2009 and in 2013 he officially became deputy to al-Zawahiri. Batarfi referred to the recent killings of jihad leaders and emphasized that such acts do not stop jihad and only serve to increase the desire for jihad and sacrifice among members of the Muslim Nation. In addition, the video included threats directed at the United States and a call on the US government to stop supporting the Jews and “tyrants” of Arab states, and to withdraw from Muslim countries. Belmukhtar was born in Algeria and joined Al-Qaeda at the age of 19. At the end of the 1980’s, he fought alongside the organization against the Soviet invasion of Afghanistan, and when he returned to North Africa he took part in the founding of Al-Qaeda in the Islamic Maghreb (AQIM). Due to a conflict with the leader of AQIM, Abdelmalek Droukdel, Belmukhtar left the organization and established his own group called the “Signed-in-Blood Battalion”, which operated mainly in Algeria and Mali. After the French invasion of Mali, Belmukhtar crossed the border into Libya and apparently spent time in the southwest of the country. On June 13, 2015, according to the Libyan authorities, Belmukhtar was killed in an American strike on the city of Ajdabiya in eastern Libya. A Pentagon spokesperson expressed doubts about the announcement of Belmukhtar’s death but admitted that he had indeed been the target of the killing. Meanwhile, Ansar al-Sharia in Libya implicitly denied that Belmokhtar had been killed. In an announcement published about the US attack on Ajdabiya, the organization admitted that seven of its operatives had been killed but denied that anyone else had been killed in the attack. As with the other announcements, this announcement also included a eulogy for al-Rubaish that listed his achievements in the world of jihad and his contribution to the Muslim Nation. The announcement emphasized that the religion cannot be defeated by the killing of individuals, as proven by the survival of the Muslim Nation over the years despite the killing of its leaders. Al-Rubaish was born in Saudi Arabia and joined Al-Qaeda in Afghanistan. At a certain point, he was detained in Guantanamo Prison and transferred to Saudi Arabia where he was released. Al-Rubaish was considered the operational commander and mufti of AQAP. 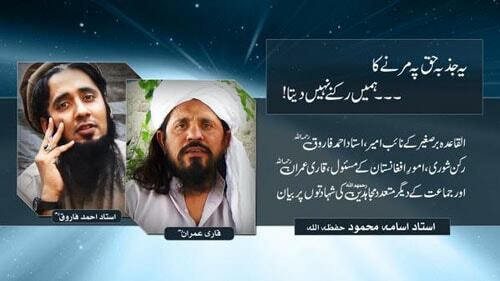 A recorded announcement in Urdu was made by the spokesman of AQIS, Usama Mahmoud, regarding the death of Ahmed Farouq, Deputy Emir of AQIS and the organization’s former spokesman in Pakistan. Another message of condolence was published on April 13, 2015 by AQIM, in which it criticized what it described as cooperation between “Americans and Hindus in an attempt to erase the light of Islam”. Adam Gadahn, an American who converted to Islam at the age of 16, served as a spokesman, media consultant and senior commander in AQC. No official announcement by the organization of his death has been located. However, the President of the United States, Barack Obama, announced that Gadahn has been killed in a drone strike by the US Army. The Targeted Killing of Senior Operatives – Effective Tool or Act of Sedition? The success of the recent targeted killings of Al-Qaeda leaders and senior operatives has once again raised the question of the effectiveness of such killings as a tool to fight terrorism. According to some approaches, drone attacks provoke outrage among Muslim populations, encourage support for terrorist organizations and create unrest that makes it easier to recruit new members. Evidence of this can be found in the official announcements published by Al-Qaeda in which the organization tries to project steadfastness by presenting assassinations as acts that strengthen the organization, turn the assassinated individual into a martyr in paradise, and increase popular Islamic resistance (even though it is clear that there is a gap between the image that Al-Qaeda is trying to present and the reality on the ground). In contrast, there are those who claim that drone strikes damage the operational capability of terrorist organizations and wear away at it over time. A third approach claims that the elimination of the leader, in and of itself, is not enough to defeat a terrorist organization (especially if the organization has a wide pool of potential leaders) but that the policy of targeted killings acts as a powerful deterrent that makes it difficult for leaders of the organization to function, to communicate and to operate without interference. For instance, the constant fear of being killed by an air strike causes them to remain tucked safely in hiding and to limit non-essential movement. It is clear that targeted killings are only one of many tools used to combat terrorism, a tool whose long-term effect has not yet been made sufficiently clear. In any event, it is clear that if and when it is used, it should be in combination with other tools such as drying up of sources of funding, striking a blow to the recruitment infrastructure and supporting educational activities to reduce trends of radicalization.